If you want to find window styles that have been around for seemingly forever, look no further than the Ham House in England. This historic property has actually had the same sash windows for a little over three hundred years. Also referred to as sashes, these window styles are incredibly enduring. Moreover, they are also among some of the most aesthetically beautiful options that discerning consumers can have installed in their homes. Throughout many parts of the developed world, vinyl and aluminum windows have become all the rage. They are relatively low in cost, inexpensive to install, and incredibly easy to maintain. There is no need to refinish vinyl or aluminum and there is obviously no worry of having these structures develop problems with rot. Despite this fact, they lack the beauty, structural integrity, and impressive, practical benefits of the traditional sash. More importantly, they aren’t guaranteed to last long either. Depending upon the window manufacturer and the style of vinyl or aluminum windows that’s chosen, these investments might last up to just 40 years. With a quality-made sash, however, homeowners can expect these structures to last as long as one full century. As such, when people invest in these designs, they are more than assured of getting their money back. This is also currently one of the most sought-after styles among sophisticated and well-informed property buyers due to its history and its long-standing appeal. For this reason, opting to have new sashes installed or to simply refinish any existing sashes that you have in your home is a great way to boost both the overall value and the all-around marketability of your unit. For property owners who are looking for the right home improvement project for building sweat equity, this could definitely be it. Although products like these have attracted attention for centuries, they have a new appeal right now in the age of environmental-consciousness. This is because consumers appreciate the way in which these products are carefully crafted rather than being mass-produced. With mass production, companies often lose sight of diligent, quality control and the ability to practice. Moreover, these entities are often far more concerned with controlling their overall production costs than they are with sourcing the basic and raw materials for their products in a way that is wholly safe and sustainable. This is simply not so in most instances of modern, sash window production. As an environmentally-conscious consumer, you simply need to look for businesses that truly enjoy what they do. These entities often have onsite workshops that allow for them to produce absolutely everything in-house. Moreover, they usually work with a number of truly reputable companies that obtain wood and other materials from top-rated suppliers. From end to end, you will know exactly where everything is coming from. 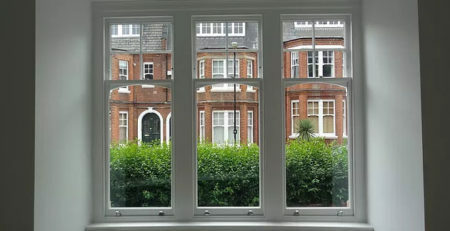 When you get ready to consider the environmental benefits of sash window designs, it is important to take a minute to compare them to PVC options. 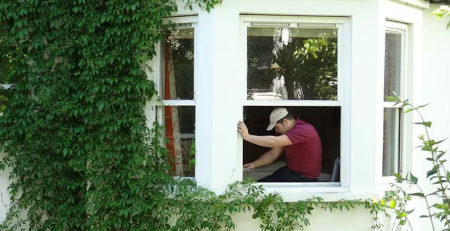 Sashes take approximately eight times less energy to manufacture than do PVC windows. 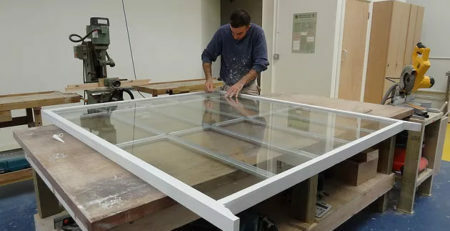 Although many consumers are worried about deforestation, working with a sash window supplier that sources its materials in a truly eco-friendly fashion is generally the best way to protect natural resources. Buyers should consider the Ham House in London as well. Sash window designs have been around for over 300 years. In fact, the earliest known unit was made in 1670. The options at the Ham House have been in existence for a total of three hundred years. They are the best testament to how long these structures can endure when they are both well-made and well-cared for. This is why many of the best-rated manufacturers are willing to back their products for a period of five decades. The reality, however, is that a well-maintained sash will invariably last much longer. As such, most homeowners will not have to replace their windows within their own lifetimes if they are careful to choose the right companies to work with. Another vital point to consider is that they last a lot longer as well. This is why the companies that install them are willing to issue such firm guarantees. Some companies will back their products with warranties that span a full 50 years. As incredible as this may sound, it attests to the lasting durability of these products. They are simply unlikely to complete wear down before this time, particularly when they are diligently maintained and repaired. The wood components on these doors should routinely receive touch-ups of the appropriate stain or paint for the local climate. If they ever show signs of sticking, sugar soap can be used in advance of these treatments to removed stubborn build-ups. Routine inspections will allow homeowners to identify small issues before these have the opportunity to have any significant impact on the overall integrity of the entire structure. One of the greatest benefits that people can gain by opting to install or restore products like these is the ability to maintain the authenticity of historic architecture. If you own a historic home, no other window style is going to provide the same level of aesthetic benefits. This is especially true if your home is Georgian, Edwardian or Victorian. You cannot remove old sashes and replace these with modern window styles without losing some of the market value and appeal. The good news is that people with historic properties can actually get the best of both worlds. With seasoned and talented installers, they can get all new sashes that have a historic, traditional look but that additionally boast some of the recent upgrades in these technologies. These structures have certainly evolved over the years and thus, they are significantly more efficient and even boast a much higher level of functioning and overall durability. This means fewer draughts and fewer problems with sticking and broken cords. While the original options were made with a counterbalanced system of cords and lead weights, many companies are using cords and springs. To take advantage of upgrades like these, simply talk with a reputable supplier about your preferences.